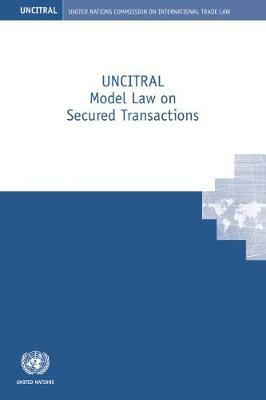 The UNCITRAL Model Law on Secured Transactions (the "Model Law") deals with security interests in all types of tangible and intangible movable property, such as goods, receivables, bank accounts, negotiable instruments, negotiable documents, non-intermediated securities and intellectual property with few exceptions, such as intermediated securities. The Model Law follows a unitary approach using one concept for all types of security interest, a functional approach under which the Model Law applies to all types of transaction that fulfil security purposes, such as a secured loan, retention-of-title sale or financial lease, and a comprehensive approach under which the Model Law applies to all types of asset, secured obligation, borrower and lender. In this way, the Model Law is intended to address the main problem of secured transactions laws around the world, that is, the multiplicity of regimes that creates gaps and inconsistencies.The Model Law includes a set of Model Registry Provisions (the "Model Provisions") that can be implemented in a statute or other type of legal instrument, or in both. The Model Provisions deal with the registration of notices of security interests in a publicly accessible Registry to make a security interest effective against third parties and to provide an objective basis for determining the priority of a security interest over the rights of competing claimants. By providing a transparent, comprehensive and rational legislative framework of secured financing, the Model Law is expected to have a beneficial impact on the availability and the cost of credit, in particular to small and medium-size enterprises in developing countries. This will not only assist in their market inclusion and alleviating poverty, but also contribute to achieving Goal 1 of the 17 Sustainable Development Goals on ending poverty. The Model Law is based on the United Nations Convention on the Assignment of Receivables in International Trade, the UNCITRAL Legislative Guide on Secured Transactions, the Supplement on Security Interests in Intellectual Property and the UNCITRAL Guide on the Implementation of a Security Rights Registry. For the treatment of security interests in insolvency, the Model Law relies on the recommendations of the UNCITRAL Legislative Guide on Secured Transactions and the UNCITRAL Legislative Guide on Insolvency Law.